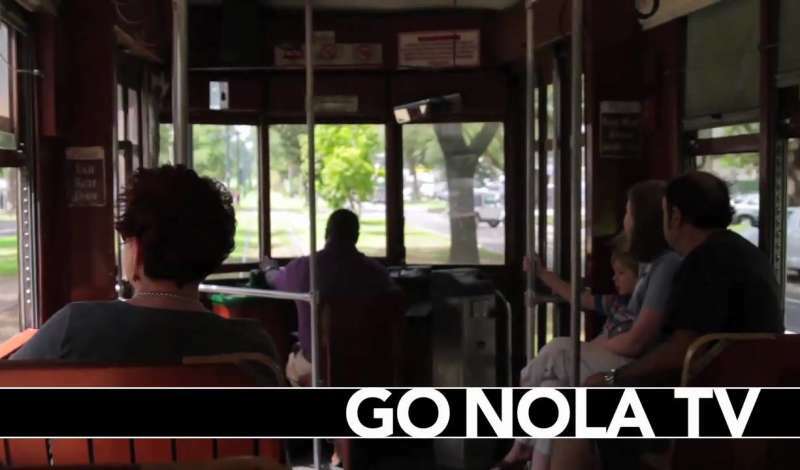 Streetcars are a charming and convenient way to experience the many areas of New Orleans. 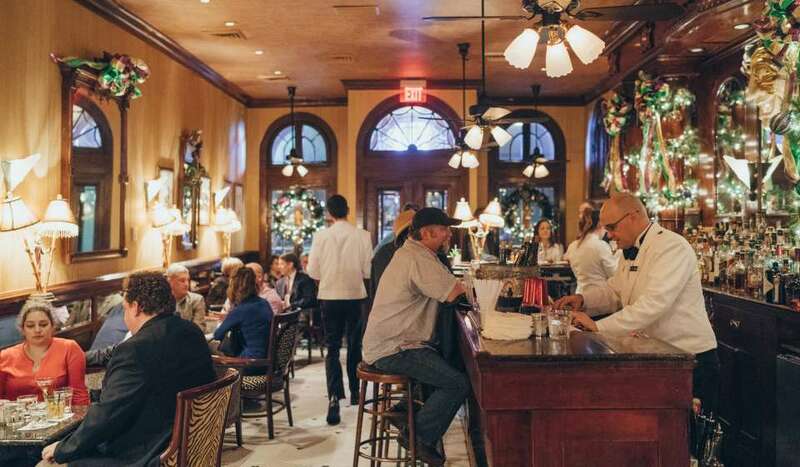 Four distinct lines, each originating Downtown, will take you through the French Quarter and beyond to places you might not otherwise get to see. Rumbling down the &apos;&apos;neutral ground&apos;&apos; or middle of St. Charles and Carrollton avenues for more than 150 years, the St. Charles Streetcar has become a symbol of the charm and romance of New Orleans. 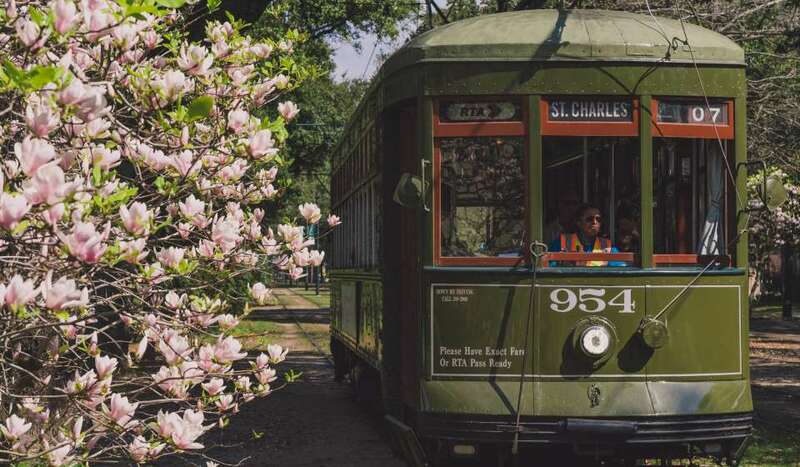 The dark green St. Charles streetcar is the oldest continuously operating streetcar line in the world. Vintage streetcars built by Perley A. Thomas Company still run along a 6-mile crescent from Carondelet at Canal Street in the Central Business District through the oldest and most majestic section of Uptown New Orleans, around the Riverbend to Carrollton at Claiborne Avenue. 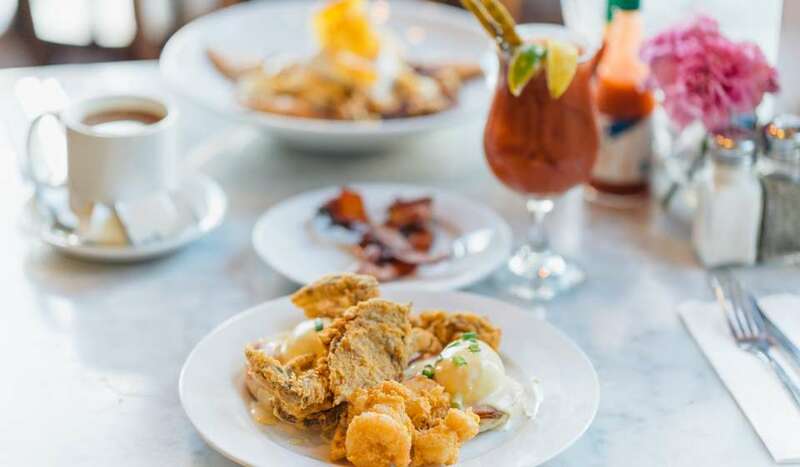 Swaying along St. Charles Avenue through a tunnel of Live Oaks, the streetcar passes dozens of antebellum mansions, Loyola and Tulane universities, breathtaking Audubon Park, and fine hotels, restaurants and bars. 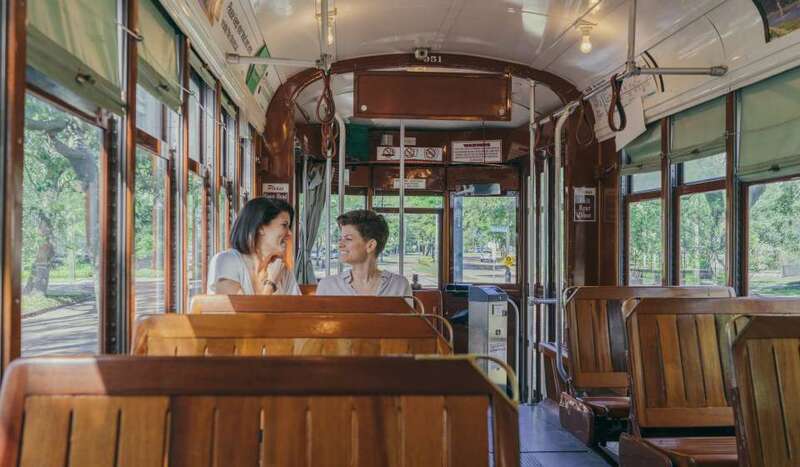 The red Canal Streetcar Line takes locals and tourists to work and play each day on a 5.5-mile route from the foot of Canal Street through the Central Business District and into the Mid-City area. The line ends at City Park Avenue at the historic cemeteries or “Cities of the Dead.” Get out and walk around. Some of the most interesting architecture in the city is right here. 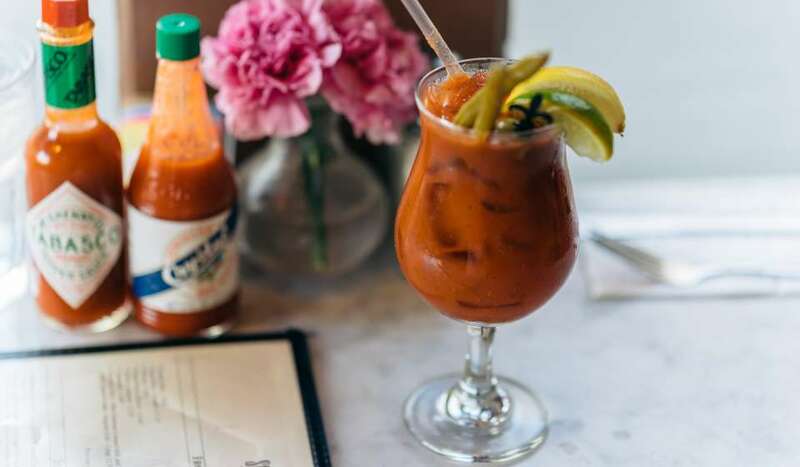 Want spend a leisurely day in City Park, or browsing around New Orleans Museum of Art? Hop on any of the Canal Streetcars that say CITY PARK/MUSEUM on the front window sign. The final stop on the City Park spur is the New Orleans Museum of Art. It’s filled with treasures from Degas, Monet, Picasso and many others, and is home to a magnificent sculpture garden you can wander through for free. 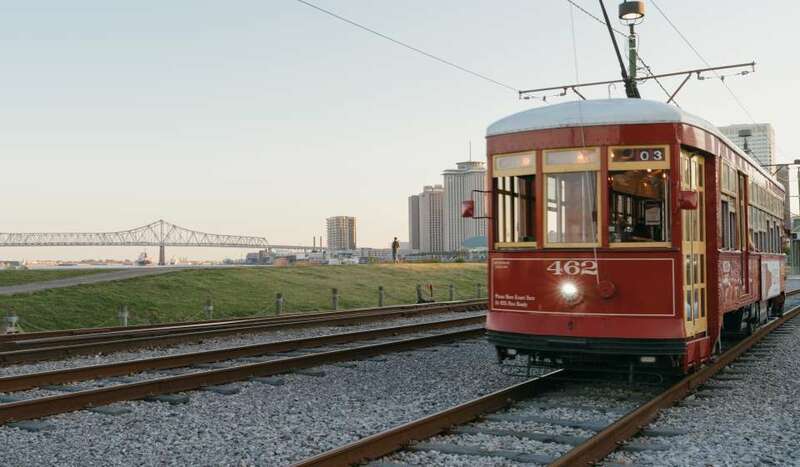 Six vintage red streetcars operate along the popular Riverfront line which will take you from the quaint shops of the French Market to the Aquarium of the Americas and beyond. 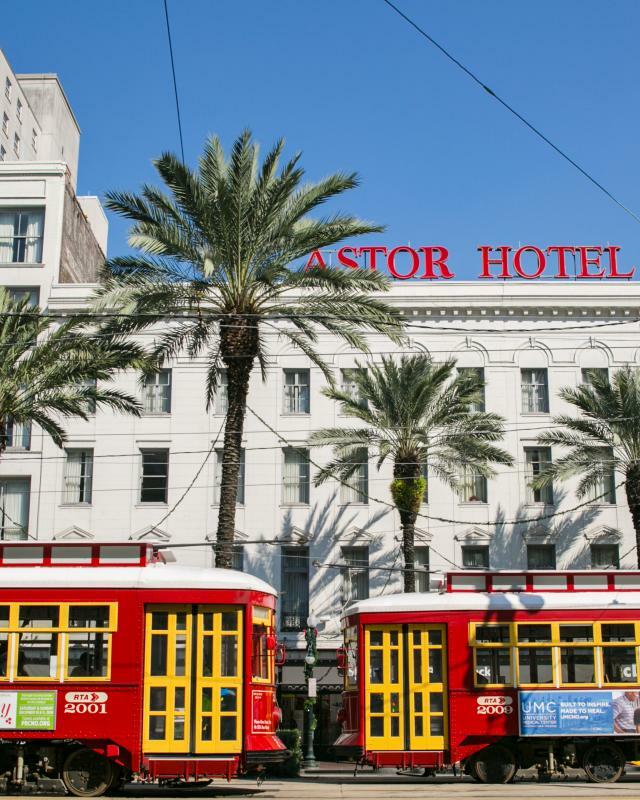 Shopping, dining and sightseeing are just a streetcar ride away. The Riverfront Line also passes by the Outlet Collection at the Riverwalk, the shops at Canal Place, and Harrah’s Casino. In 2013, the 1.6 mile Loyola Avenue/Union Passenger Terminal loop opened, giving visitors who arrive by Amtrak or Greyhound an easy, economical way to see the city and get to their hotels. From the Union Passenger Terminal, the Loyola Streetcar&apos;s first stop is Julia Street, the major corridor of the city&apos;s Warehouse Arts District. The next stop is Poydras Street, the center of the city&apos;s Financial District. The third and final stop before reaching Canal Street is at Tulane Avenue, the hub of the Medical District. Take a ride on the Rampart/St. Claude Streetcar. In 2016, streetcars rolled on this line for the first time since 1949. This line rattles by St. Louis Cemetery No. 1, where Voodoo Queen Marie Laveau’s tomb can be found, and Louis Armstrong Park, home to Congo Square. You can also visit the St. Claude Arts District in the culturally rich Marigny/Bywater. 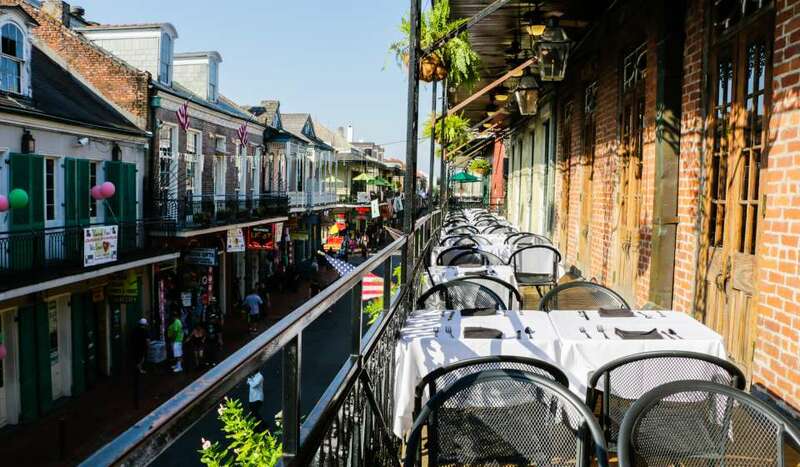 Discover authentic food, art and music clubs all the way down North Rampart before continuing on St. Claude Street to Elysian Fields Avenue. Streetcars fare is $1.25 and must be paid with exact change when you board. One, three, and 31-day unlimited ride “Jazzy Passes” are also available for $3, $9 and $55 respectively. See the Regional Transit Authority (RTA)&apos;s website for a list of places to purchase these as well as information about wheelchair accessibility. You can also download the RTA gomobile app and pay your fare instantly from your phone.